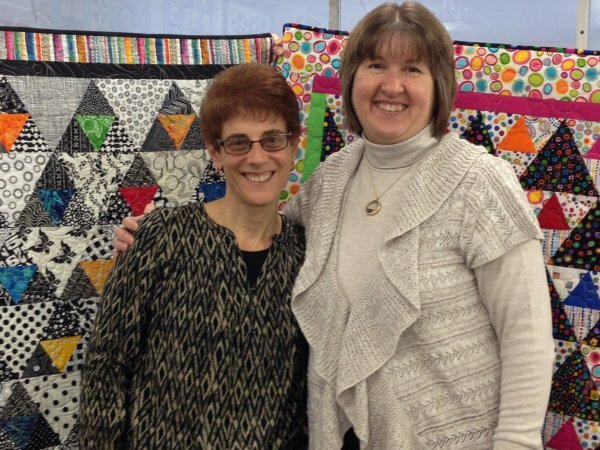 We've been honored to have had Quilting Celebrities visit our store or meet them in person! 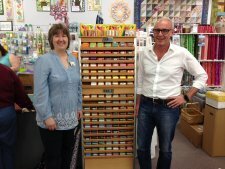 April 2017: Alex Veronelli of Aurifil Threads came to our store to do two presentations on how Aurifil thread is made. He also had some amazing quilts and samples made with Aurifil thread. 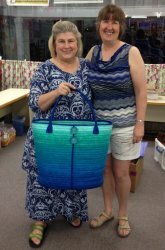 July 2016: Carol McLeod of Aunties Two made a return trip to our store for our Christmas in July event. It had been 5 years since she last visited! January 2016: Here's Valerie with Jackie Kunkel, author of "Splash of Color" when she taught Dreaming of Pyramids at our store. 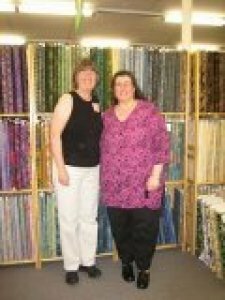 2012: Here's Valerie with Laurie Shifrin, author of "Batik Beauties" and "Batik Gem" when she came to teach at our store. 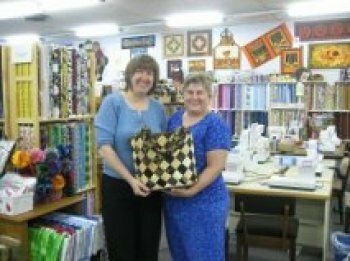 2011: Carol McLeod of Aunties Two came to do a trunk show and teach the Diamond Island Tote. 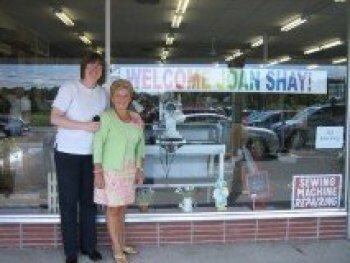 2009: Joan Shay came to our shop to teach her technique "Petal Play". 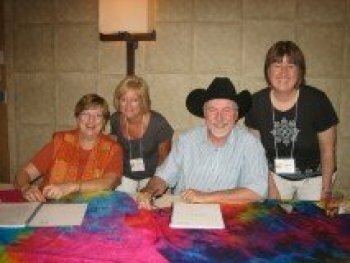 2008: Here's Valerie with Rob Appell (now of Man Sewing with Missouri Star Quilt Co) before he was so famous! 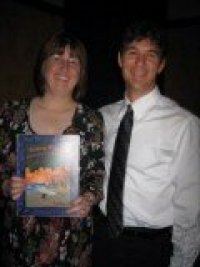 Pictured with his first book "Quilted Seascapes". We knew he was destined for great things!